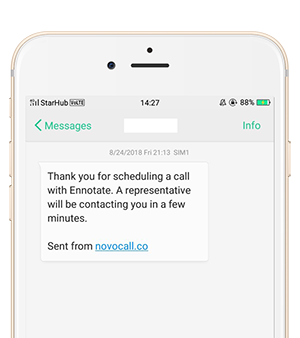 Automated your scheduled calls with Novocall. The Scheduled Callback feature allows customers to schedule a callback at a different time. The scheduled call will trigger automatically on the chosen time, with various email & SMS reminders for both call rep and customer. 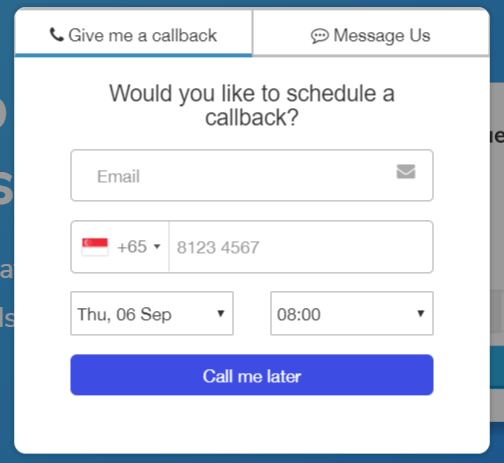 When it's after your working hours, the Novocall widget will show a scheduled callback popup instead. Once someone scheduled a callback, you'll receive an email notifying you of the scheduled call. 5 minutes before the call, an SMS reminder will be sent to your customer. If round robin is activated, an SMS reminder will be sent to your call representative as well. By default, your office hours are set to weekdays from 9am to 5pm. You'll be able to customize your working hours, and even the individual working hours of your call representatives. You'll be able to customize your scheduled call time slots. Timeslot Interval - The intervals between timeslots where customers can choose to schedule calls. Ranges from 5 mins to 3 hrs.